You might remember that a few weeks about we visited the Yorkshire Sculpture Park to see some of Henry Moore’s sculptures up close to have a go at sketching them. Can you remember the visit? Which was your favourite sculpture? What did we do whilst we were at the Sculpture Park? How did we get there? Back in class, we decided that we wanted to make our our sculptures, inspired by those we have seen created by Henry Moore. First we made pipe cleaner figures to make sure that we had sizes and shapes of our body parts in proportion and then sketched them onto paper before we got a little messy with the clay. Next was the fun and messy part! We each had a block of clay that we turned into a human sculpture. We think that our sculptures look amazing and very life like! What do you think? This week, we went on our first Y2 school trip to the Yorkshire Sculpture Park because we are learning about the artist Henry Moore. 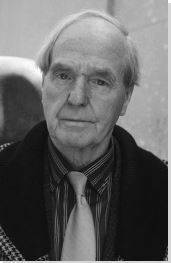 Henry Moore was an English artist who was born in 1898 and he died in 1986, aged 98 years old. He is most famous for his abstract bronze sculptures, many of which live at the Yorkshire Sculpture Park. As the Yorkshire Sculpture Park is quite far away from school, we had to get on a double decker coach to get there. We were so excited to be able to sit on the top deck. We were able to see lots of different places that we can’t normally see when we are down on the ground. When we arrived, first we had our milk and snack sat down at the picnic tables, before we went and explored the park looking for the Henry Moore sculptures. The weather was great so we were able to walk around the park in the sunshine, trying to spot the different Henry Moore sculptures. We took out sketch books with us so that when we found a sculpture, we could have a goo at trying to sketch it in our books. After a while, it was lunchtime so we walked back to the picnic tables to eat our lunch. Once we had finished our lunch, Miss Varley took us that we were going to be nature detectives and we had to go hunting for signs of Autumn. As we were hunting for signs of Autumn, we saw lots more modern sculptures dotted around the park. Finally it was time for home. We all had a marvellous day and can’t wait to get back to school to make our own Henry Moore inspired sculptures. Keep your eyes peeled on our blog to have a look at the sculptures that we create back at school, with our new inspiration from the Yorkshire Sculpture Park. The Yorkshire Sculpture Park is free to visit – check out their website by clicking here. Research Henry Moore and his sculptures online or visit the library to check out a library book. Create your own sculpture from playdough or clay inspired by what you saw at the park. Go on an Autumn hunt – what can you find? Over the last 4 weeks, we have been working with our artists in residence called Soo and Charlie to create some fabulous sculptures, linked with our work on the artist Henry Moore. We used a range of different objects to make imprints in the clay and then poured plastic of Paris over the top of it. We kept ourselves safe from the plaster dust by wearing aprons to protect our clothes and a mask and goggles to protect our faces. We had to let it dry before we could decorate them in the afternoons. We are sure that you’ll agree that we have made a super job of our project. Look out for them to be displayed shortly around school. Keep checking back to our blog to have a look at the finished piece that will be displayed in school. Today we visited the Yorkshire Sculpture Park and we had the best time. We are learning about the artist Henry Moore in our art sessions so we went to see some of his sculptures up close for some inspiration. We got to travel there on a double decker bus. Do you think we were excited? The Yorkshire Sculpture Park is absolutely full of sculptures by lots of different artists and they were different shapes and sizes. We didn’t know where to look first. Our first activity was to look at some sculptures, designed by the artist KAWS. Click here for more information about KAWS. We talked about what we thought they were, what they were made from and how we thought they might be feeling. Each of these sculptures were made from different types of wood and made to last outdoors in all weathers. We then split up into groups to use clay to see if we could try and make one of the sculptures as a group. We were able to work together to share ideas and think about the different shapes and lines that we could see. Even the adults got involved as well and we had lots of fun! We think that clay sculptures look amazingly like the real thing! What do you think? For our next activity, we saw a sculpture called ‘Dream City’ by Sir Anthony Caro. Click here for more information. From looking at the sculpture, we were able to use our imaginations to see lots of different shapes within the sculpture so we used some 2D shapes to help us to recreate what we saw. After lunch, we had a short walk across to the other side of the park to find the Henry Moore sculptures. Henry Moore was a British artist and sculptor who created these open air sculptures out of bronze. Click here for more information on Henry Moore. We looked at the shapes, shadows and lines that we could see in each sculpture and then we had a go at sketching these. We have had the best time today and we want to thank all of the adults who came with us and helped to make our day even more enjoyable. Come back soon to see how our own sculptures turned out! Look at the shapes in objects and have a go at drawing them. Use sketching techniques to add light and shadow to drawings. Use plasticine or playdough to make your own Henry Moore inspired sculptures. Visit the Yorkshire Sculpture Park at the weekend to see the sculptures. This half term we are learning about the artist and sculptor Henry Moore. In a few weeks, we are going on a class trip to the Yorkshire Sculpture Park to see some of his sculptures to help to inspire us to create some sculptures of our own. Keep your eyes peeled out for the trip letter coming home soon! In preparation for this, we decided that we need to practise our sketching techniques to help us to get things like size in proportion, adding on detail and shading with light and dark. We had a selection of natural things to choose from and we really enjoyed ourselves. We think that we are blossoming into brilliant artists! What do you think? Research who Henry Moore is and why he is famous. Have a go at sketching something that you have at home. Try and sketch one of Henry Moore’s sculptures.